E-commerce in Brazil has grown 20+% year over year for the last five years1. In this highly competitive environment, choosing the right advertising partner is a critical strategic decision for a retail brand to ensure their message breaks through. Netshoes is the world's largest sports retailer, selling everything from basketball shoes to fitness gear across all of Latin America. Historically they have been deeply focused on performance advertising, and at times have used up to 8 different advertising platforms and retargeters at once in search of the best results. 400% better conversion rate than with other channels. 30% view rate on TrueView video ads, with CPVs lower than the market average. 15% time savings across the Netshoes media buying team. "The results we get from DoubleClick are simply much better than those from other partners in our past"
Learn more about Netshoes’ approach in the full case study. As we've stated before, we're committed to keeping fraudsters out of the broader advertising ecosystem. Today we're looking at a specific aspect of this fight: the false representation of domains in ad inventory. Imagine ordering a designer handbag, only to receive a cheap imitation. Unfortunately, this type of misrepresentation happens all too often with ad inventory. The false representation of domains in ad inventory occurs when publishers intentionally make it look like their traffic is coming from another website (usually a well-known, premium website) in order to charge higher rates for ads. This practice deceives advertisers who end up paying to appear on sites with which they may not want to be associated, and harms legitimate publishers, who aren't actually receiving the funds from ads sold in their name. 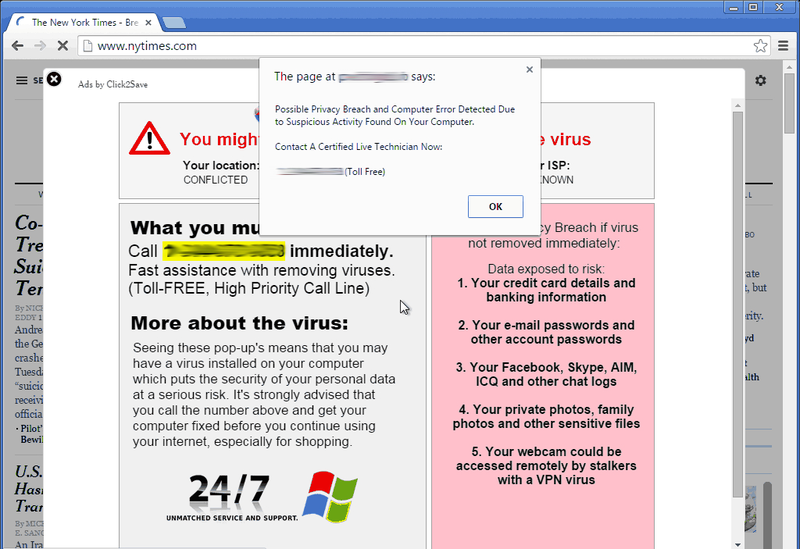 The two examples below illustrate how a branded ad can end up on a sketchy website through false representation of a domain. As part of our commitment to strengthening the integrity of our digital marketing solutions, we've added a new feature to DoubleClick Bid Manager that blocks many cases of domain misrepresentation, one of the most severe types of falsely represented ad inventory. When a source of fraudulently misrepresented domain information is identified in Bid Manager, a filter is used to exclude invalid inventory with a high degree of confidence before advertisers bid on it, regardless of exchange or reported domain. We’ve discovered that in some instances this type of activity has accounted for up to 40% of inventory for a particular exchange. As a recent example, we noticed a publisher attempting to sell ad inventory on a pirated movie sharing website that was falsely represented with the domain name of a well-known newspaper. Fortunately, our new filter prevented ads from being purchased and displayed, thereby safeguarding advertisers from fraud and preventing this copyright infringing publisher from receiving advertising revenue. It’s not just advertisers who will benefit from this new feature. The filter ensures that high quality inventory from top publishers is correctly valued and better defended against misrepresentation. As a case in point, we found that 10% of inventory offered for sale claiming to come from two popular US newspapers was in fact from other publishers falsely representing themselves as the two newspapers. We also recognize that there are valid use cases for selling inventory via alternate domains, which is why we have taken great care to ensure that our filter targets only cases where the false representation masks the real value of the inventory. We continually look for new ways to improve and defend our advertising platforms against ad fraud, and we’re proud to offer this new feature directly on Bid Manager, without the need for advertisers to maintain blacklists or configuration settings. We’re happy to further protect advertisers and legitimate publishers by giving the boot to pretenders offering bad inventory. In today's multi-device world, consumers increasingly move across screens when researching and shopping for goods and services. In a recent study conducted by Google and Ipsos Media CT, it was found that nearly 40% of online shoppers start their research on a smartphone and make their final purchase on a computer or tablet1. Earlier this year, we introduced cross-device measurement across DoubleClick Digital Marketing, including DoubleClick Search, to help you see the total number of conversions influenced by a specific keyword, regardless of the device where the conversion occurred. 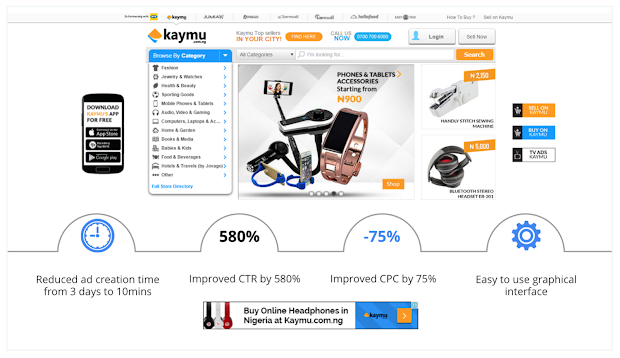 For example, if a user who clicks on a search ad on one device goes on to complete a purchase on another device, we can measure that, enabling you to more accurately report on the full value of your search ads. Now, bid strategies in the DoubleClick Search Performance Bidding Suite can use cross-device conversion estimates to automatically calculate the mobile bid adjustment that will help you achieve your campaign goals and maximize the impact of your mobile ads. If you enable a bid strategy in the Performance Bidding Suite to use cross-device conversion estimates, it can consider these cross-device conversions to determine how much to bid for your mobile ads. The bid strategy can then recommend or automatically apply the optimal mobile bid adjustment based on your conversion or revenue goals. You can use this feature with a one-step opt in: when configuring the target of a bid strategy, check the box to use cross-device conversion estimates when setting the mobile bid adjustment. Note: Currently, bid strategies use cross-device estimates only for mobile bid adjustments. Other enhancements, such as adjusting bids based on membership in an AdWords remarketing target, will follow in future updates. Learn how to use cross-device estimates in bid strategies today. For search marketers, the holiday season starts well before the holidays. You’re busy making preparations to help holiday shoppers check items off their list with you. To make your job easier, we’ve been working hard all summer to bring new campaign management, measurement, and workflow features to DoubleClick Search. Mobile search will influence the 2015 holiday shopping season more than any other shopping season before it. 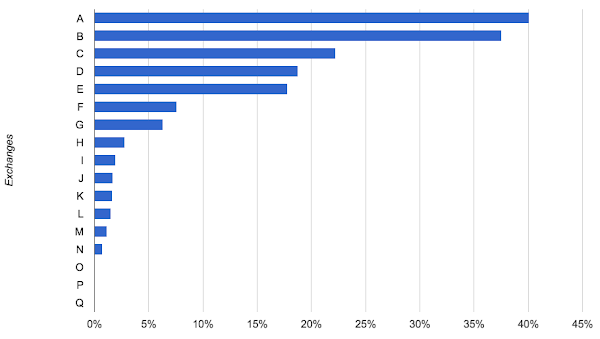 The Inside AdWords blog shared in May that more Google searches now take place on mobile devices than on computers in 10 countries including the US and Japan. Google's Micro-Moments Guide indicates that mobile conversion rates have shot up by 29% in the last year alone. 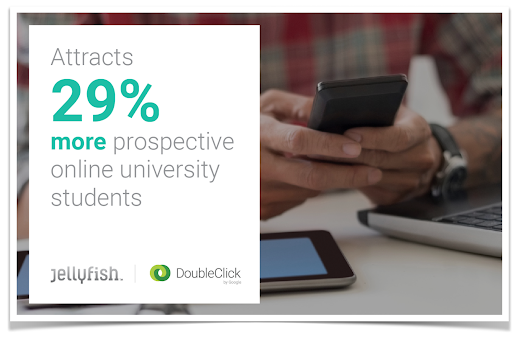 DoubleClick Search has two new features that will help you capture the mobile search opportunity. First, we've added mobile and tablet bid adjustments for Bing Ads campaigns. This makes it easy for you to adjust to Unified Device Targeting (UDT) in DoubleClick Search with mobile and tablet bid adjustments for Bing Ads that work just like mobile bid adjustments for AdWords. Second, we've made it easier to optimize mobile bid adjustments on Yahoo! Japan. You can now set adjustments at the ad group level that will trump adjustments at the campaign level. On mobile and desktop, relevance is a key component of search marketing success. 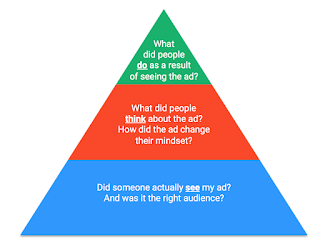 Relevant ads tend to earn more clicks, appear in higher positions, and bring you the most success. DoubleClick Search retail advertisers use inventory-aware campaigns to build highly relevant campaigns at scale by creating templates that automatically build keywords and ads based on their product feeds. We've made these templates even more powerful with new functions to let you fine-tune and customize your keywords and ad content. 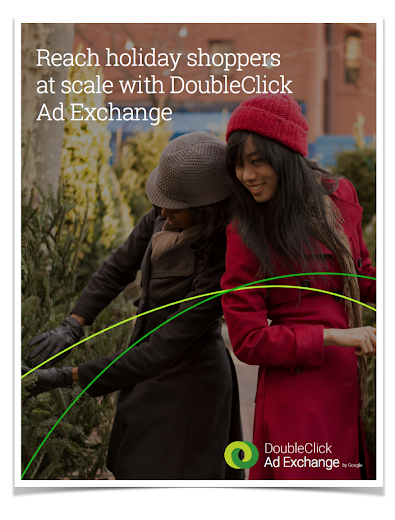 New DoubleClick Search features for measuring results will help you stay on top of campaign performance throughout the season and beyond. You can now use bulksheets or the DoubleClick Search API to attribute a conversion in a shopping campaign to a specific product in your inventory feed. To help you analyze and optimize at scale, we've added three reports to the DoubleClick Search reporting API. We've also made it a cinch to analyze what's happening in the Black Friday to Cyber Monday stretch, or any other period of time, with more flexible date functions for formula columns. For example, you can use Date subtraction to calculate the number of days between two dates, or use weeknum to return the week number for a specified date. In order to help you get campaign work done fast, we've enhanced the usability and visibility of some DoubleClick Search features based on your feedback. You can now apply labels when you create new keywords or customize and rename report views. If you're looking to use DoubleClick attribution models to better understand what's driving conversions, we now automatically pre-populate the time decay model so you can start using it immediately. Today's announcement is the culmination of many months of work to help make your holiday campaigns as streamlined and rewarding as possible. Visit the DoubleClick Search Help Center for a complete overview of what's new and view trainings to help you get started. Just a few weeks ago we announced the release of comScore vCE in DoubleClick, the first completely tagless GRP measurement solution integrated directly into an ad server. With comScore vCE in DoubleClick, Brand Marketers in the US get the trusted comScore audience measurement solution for both video and display ads that delivers 100% coverage. Mobile has forever changed the way we live, and it’s forever changed the way we engage with brands. It has fractured the consumer journey into hundreds of real-time, intent-driven micro-moments -- the moments in time when consumers' preferences are shaped and decisions are made. Each one is a critical opportunity for brands, and increasingly we are seeing advertisers turn to programmatic to reach and engage audiences everywhere and win these moments. With people switching between multiple devices throughout their day and increasing their consumption of mobile video, advertisers have changed how and where they buy programmatically in order to connect with people in micro-moments. Both mobile and video impressions served on DoubleClick Bid Manager have grown more than 3.5x since last year, and impressions served via direct deals that are transacted programmatically have nearly tripled. 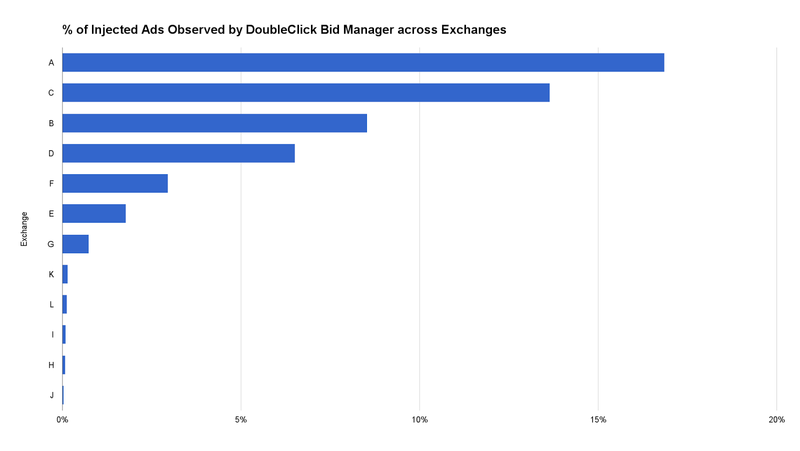 To provide you with the largest pool of inventory, DoubleClick Bid Manager has access to 70 exchanges and API partners, and we prioritize mobile and video inventory sources when identifying new integrations to pursue. Ultimately, our engineers spend each day thinking about how to build innovative products that help you win these micro-moments by connecting with the people you want to reach, across screens and at scale. The growth in usage of our platforms shows that we are making progress, but we are even more excited for what's to come. Google has a great line-up of talks set for next week in New York - we hope to see you there. Every day, your audience is filling their days with hundreds if not thousands of micro-moments—intent-rich moments when preferences are shaped and decisions are made. As consumers spread their attention across more and more screens and channels, those moments can happen almost anywhere, anytime. People search on their smartphones while in front of the TV. They watch YouTube videos on their tablets while texting their friends. They open a mobile app to shop for the perfect gift, then head to the store to buy it. With mobile devices never more than an arm’s length away, people can find and buy anything, anytime. 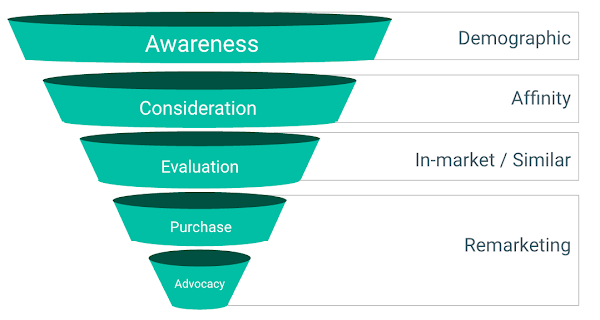 For marketers, this means the purchase funnel is wildly more complicated than it was just a few years ago. In this article, we share four tips for using programmatic to win these micro-moments and examples of brands that are doing it right. Visit DoubleClick.com to read the full article. Earlier this summer we held #HTML5Week to introduce you to resources that can help you develop engaging and relevant HTML5 creative. Now that Chrome has rolled out updates to Flash support, we're heading back to the virtual classroom to provide you with the latest information you need to make the transition to HTML5. In this vein, we’re kicking off an HTML5 Hangout series, where over five weeks we’ll set aside an hour to explore topics ranging from how to QA HTML5 ads to building dynamic creative (See the complete Hangout schedule). Our first hangout on September 10th (3pm - 4pm EST) will introduce you to HTML5 development tools and best practices. Register here. Note: If you’re new to HTML5, we recommend walking through our Rich Media Fundamentals training before attending the HTML5 Hangout series. We hope to see you in the classroom!